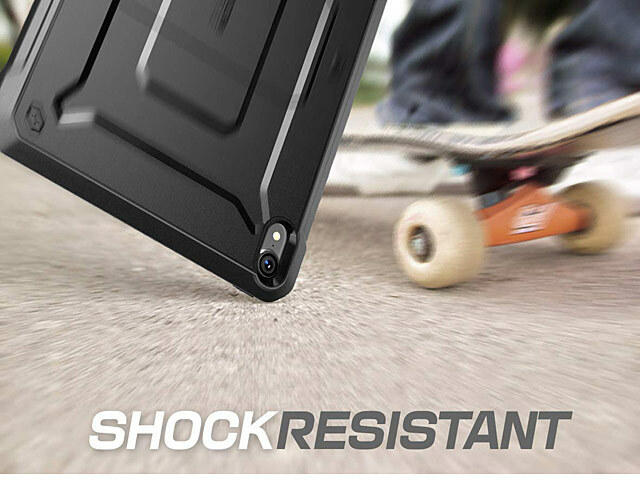 Supcase Unicorn Beetle Pro Rugged Case provides reliable rugged protection for your Tablet. 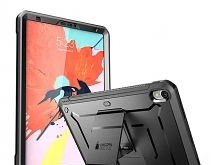 Constructed in two parts, this case features a front protective piece with raised edges to keep your Tablets screen up off surface and a back piece that's made of both shock-absorbing TPU and hard, drop-resistant Polycarbonate materials. 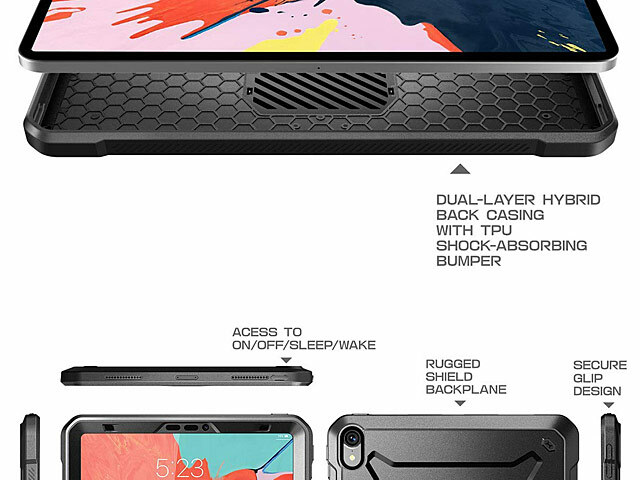 This dual-layer system fits together securely for the ultimate defense against whatever you may throw at it. 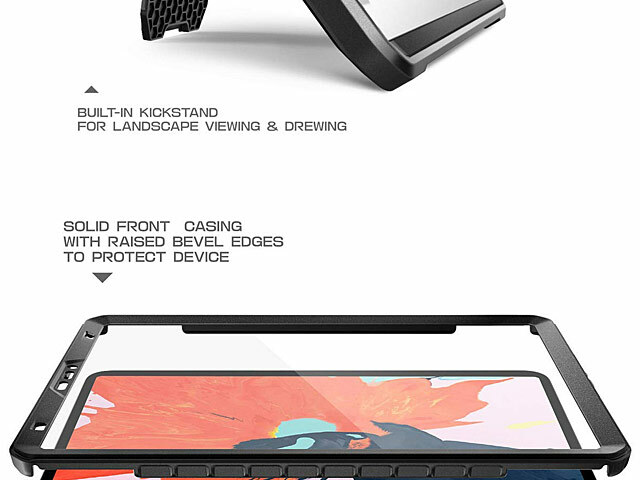 Additionally, the UB Pro features an integrated kickstand that slides out for convenient video watching at home or on the go! 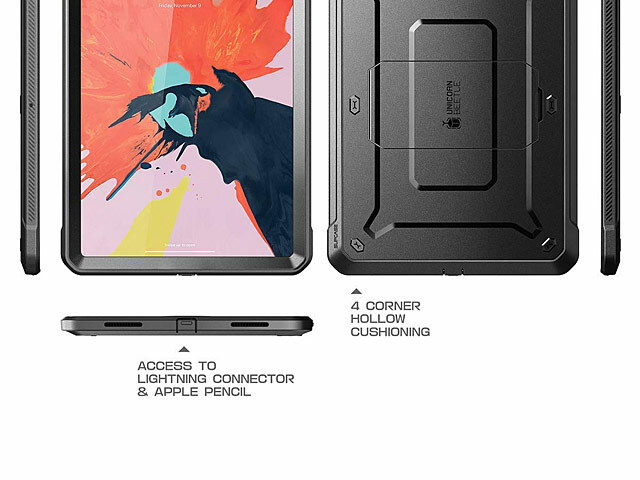 Front cover includes built-in screen protector that prevents scratches without compromising sensitivity. 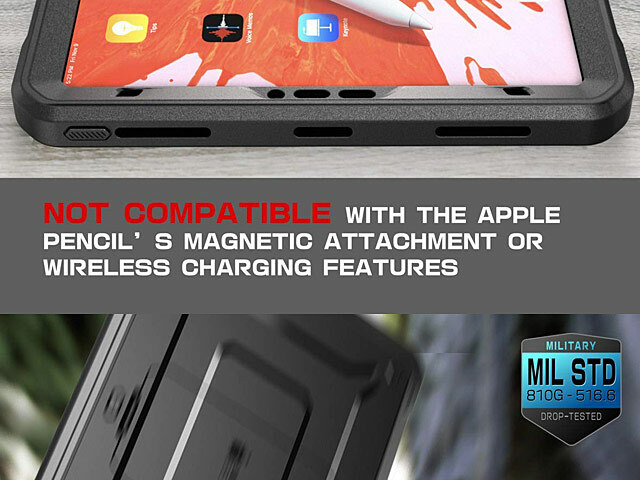 Fold-out port covers keep unwanted dust and debris from penetrating your mainframe. 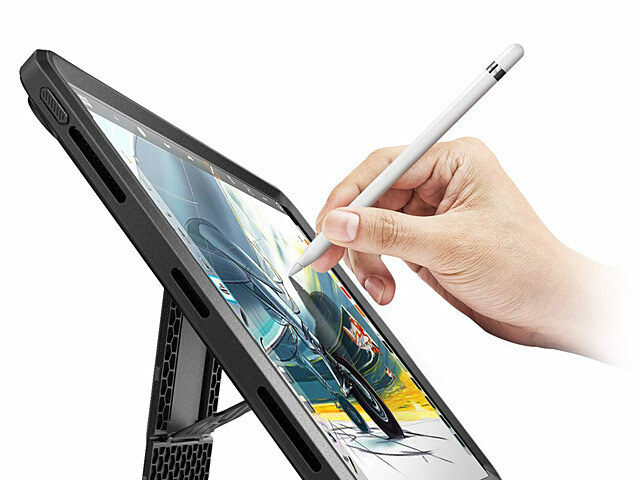 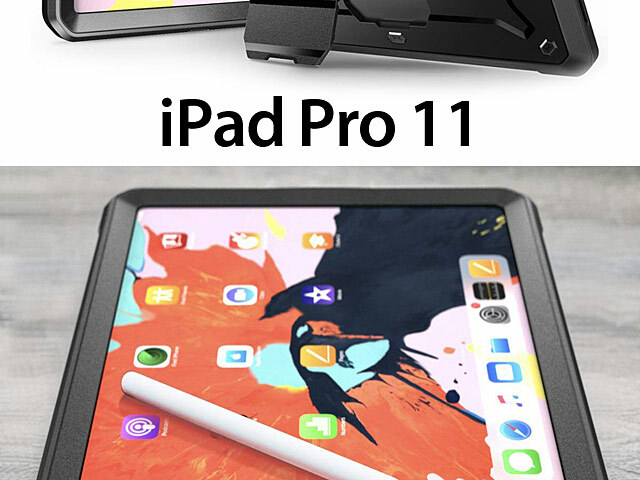 Precise cut and design allow easy access to all ports, sensors, speakers, cameras and all Apple iPad Pro 2018 (11inch) functions.